*Disclosure of material connection- I received a copy of the book from the publisher via Netgalley ine exchange for my honest thoughts. I was not required to write a positive review and all opinions stated are 100% my own. The Jonestown Massacre happened several years before I was born, but there is something about this case that has always had me trying to figure out, why? What would lead any one person to a power trip such as the one that occurred where they not only end their own life but the lives of defenseless children? How could adults fall for even following this guy? These are questions I have asked myself when I catch a tv special here or there about the Jonestown Massacre. Jeff Guinn's new book finally gives me the insight I was searching for. To gain a better perspective I think we have to earn about Jones as a baby, a child, a young adult, his early days as a preacher, his parents, his love life, his children..everything about him all the way until that last day in the jungle. It also allows you to see the way that people ended up in the cult to begin with. It is not as simple as people blindly following a crazed man. 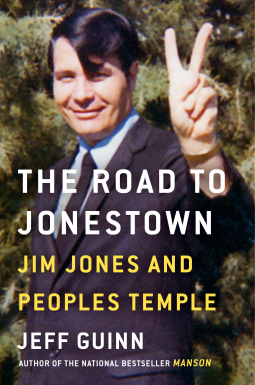 I recommend The Road to Jonestown to anyone interested in true crime, cults, or history.